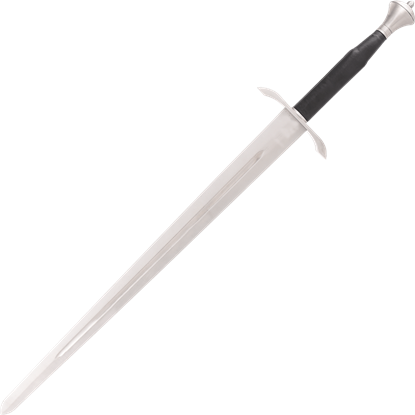 Gladius Medieval style swords like the Arming Sword have 440C stainless steel blades that are fully tempered, but they are primarily intended for use as collectibles and decorative pieces with their eye-catching details. Gladius Medieval style swords like the Arming Sword with Scabbard have carbon steel blades that are fully tempered, but they are primarily intended for use as collectibles and decorative pieces with their eye-catching details. 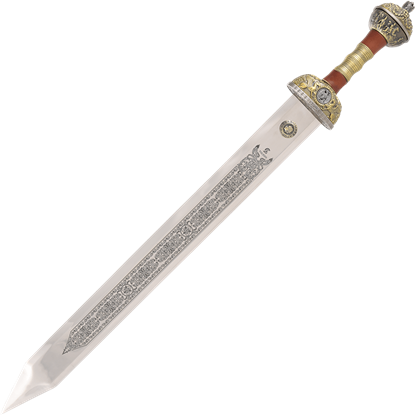 Gladius medieval-style swords like this Barbarian Sword have 440C stainless steel blades that are fully tempered, but they are primarily intended for use as collectibles and decorative pieces with their eye-catching details. 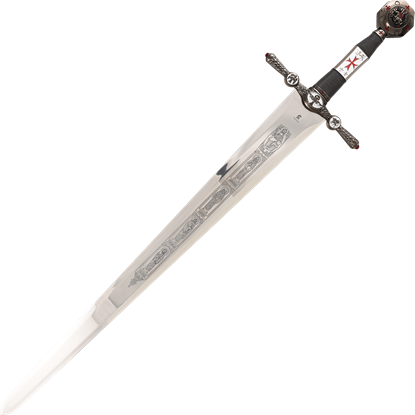 The Black Prince, son of Edward III of England, is remembered in history for his great victory over the French at the Battle of Agincourt during the Hundred Years War. 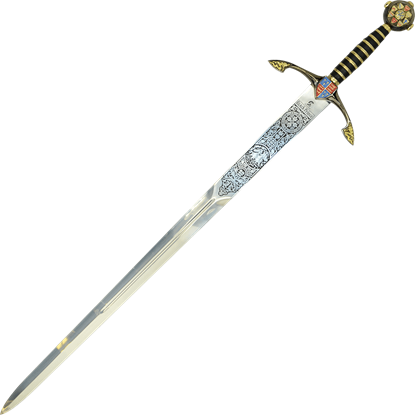 Undoubtedly, he was one of Englands finest royal warriors. 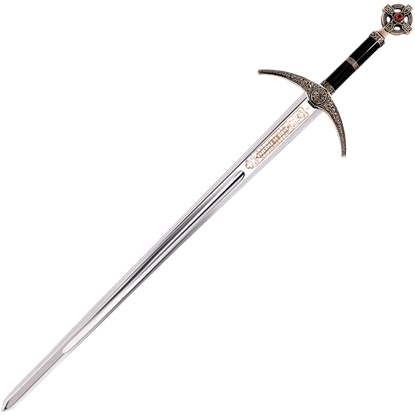 Excalibur, the fabled sword of King Arthur, evokes scenes of the Sword in the Stone, the Lady of the Lake, and Camelot. 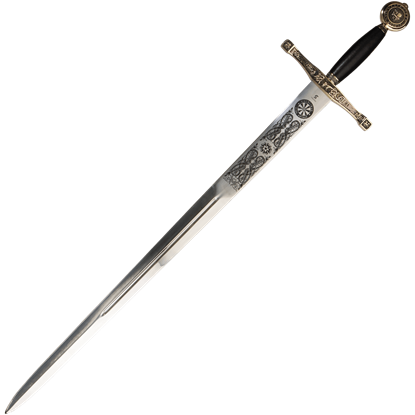 The graceful lines of this piece by Art Gladius fit the image of the warrior king of the Britons. 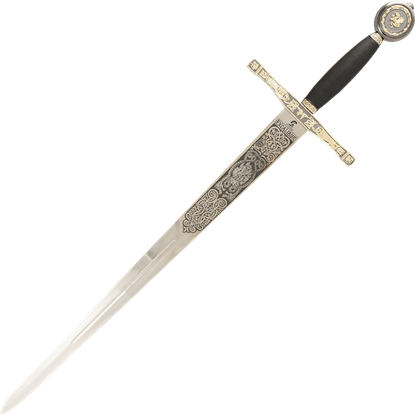 Recalling stirring tales of the famous outlaw, his band of Merry Men, and their battles with the Sheriff of Nottingham, the Robin Hood sword is a powerful hand and a half design from the days when the sword was law.